Indian cricketer Mahendra Singh Dhoni's biopic 'MS Dhoni: The untold story' film is seen by everyone either in theater or anywhere else it's another matter. The movie throw light on events of the life of Captain Mahi. Bollywood actor Shushant Singh Rajpoot played a role of Mahindra Singh Dhoni in the movie. The story of the biopic also includes Dhoni's relationship with his girlfriend Priyanka jha which was ended in a very painful way. 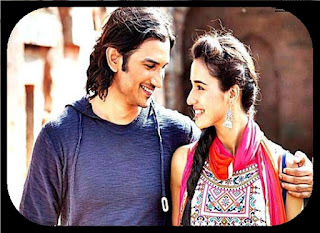 In the film Priyanka jha's character was played by Disha Patani. Priyanka jha was in he life of MS Dhoni since Dhoni not became international cricketer and when the movie was on the floors even at that time and also Dhoni unable to mention these things easily. Priyanka jha was not only Mahi's true love but she was even his strength. When Mahindra Singh Dhoni in his early 20', he met that girl named Priyanka jha. He was gearing up get a place in India XI, during that time he fell in love with Priyanka. Both are decided to spend the rest of the time with each other. Mahindra Singh Dhoni and Priyanka jha's relationship was going strong. It was during that period of time when MS Dhoni got selected for the India A squad to tour of Zimbabwe and Kenya in 2003-04 . But then something happened that both of them got separated forever. 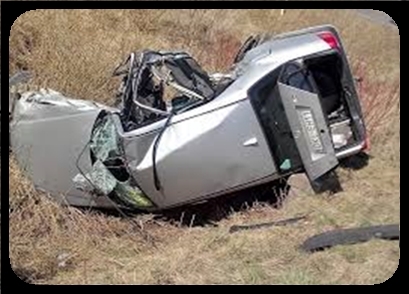 Priyanka was dies in a car accident, Dhoni was in foreign tour of Zimbabwe , Kenya and India Triangular series for team India A squad during that time. MS Dhoni was the most run scorer of that triangular series 2004 for India A , he scores 362 runs in 7 matches and it includes 2 century and 1 half century at an average of 72.40 with a highest score of 120 runs. This news of Priyanka's accident came to Dhoni very late. When he came knew, he is completely devastated. Many of his friends thought he might not be play cricket once again. But MS Dhoni fought back and started to play yet again. Team India's skipper Sourav Ganguly found his talent and picked up his name for the ODI series against Bangladesh series in 2004-05. He was unlucky to be dismissed on a naught in his very first game against Bangladesh. He was managed to only 19 runs in three innings at an average of 9.50, However India enable to won that series by 2-1. But he made his impression in the second match of the ODI series versus Pakistan at Visakhapatnam in 2005. He scored 148 off 123 deliveries, surpassing the earlier record for the highest score by an Indian , a record that he would rewrite before the year ended. Post that, everything is history as Dhoni rose through the ranks and finally became the skipper of the Men in Blue. After became a skipper he has got us two world cups for our country in both T-20 and 50-50 overs cricket format in 2007 and 2011 respectively. India has became ICC Champions Trophy 2013 winners in Dhoni's captaincy. 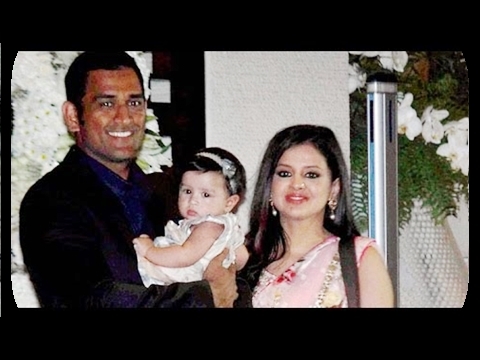 In the year of 2010 July 4, MS Dhoni got tied the knot with Sakshi Rawat. They have cute baby girl, who named as Ziva. But it said Mahi couls never forget Priyanka Jha and the moment he spent with her. We are seeing another Priyanka jha in MS dhoni's wife Sakshi Rawat, she always supports Mahi each and every time when he wanted so far. For example as recently Dhoin's personal details are leaked by Government Adhar Agency on Twitter. She complaints to Ravi Shankar Prasad and saying that Dhoni’s personal information was leaked by the agency appointed for taking personal information. A picture containing personal details of MS Dhoni was uploaded on the official twitter handle of CSC e-governance, agency for facilitating services like registration of Aadhar. 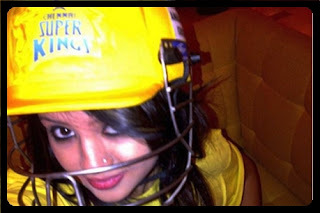 Another one was against Rising Pune Supergiant team's owner Harsh Goinka, she shown her angry by wearing Chennai Super Kings jersey and helmet. This is the untold story of MS Dhoni, it said that the director Neeraj Pandey took Dhoni's permission to which he even agreed. Thank you for read this article. If you want more interesting articles like this. Please follow us for more Updates and share this with your friends. 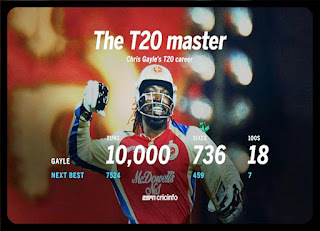 Chris Gayle became the first cricketer to score 10,000 runs in T20 cricket as he reached the score of 3 for Royal Challengers Bangalore against Gujarat Lions in an Indian Premier League (IPL) 2017 match. Chris Gayle, the brutal and entertaining Jamaican hard -hitter, is now in an elite club of his own - one for those with 10,000 T20 runs. Royal Challengers Bangalore’s (RCB’s) Gayle became the first entrant of the exclusive club as he reached 3 against the Gujarat Lions in their 2017 Indian Premier League (IPL) match on Tuesday. Before the start of the 2017 IPL, Gayle needed 63 runs to reach the 10,000 milestone. He scored 32, 6, 22 in the three matches he played prior to Tuesdays fixture. He was also dropped from two matches, which delayed the milestone. 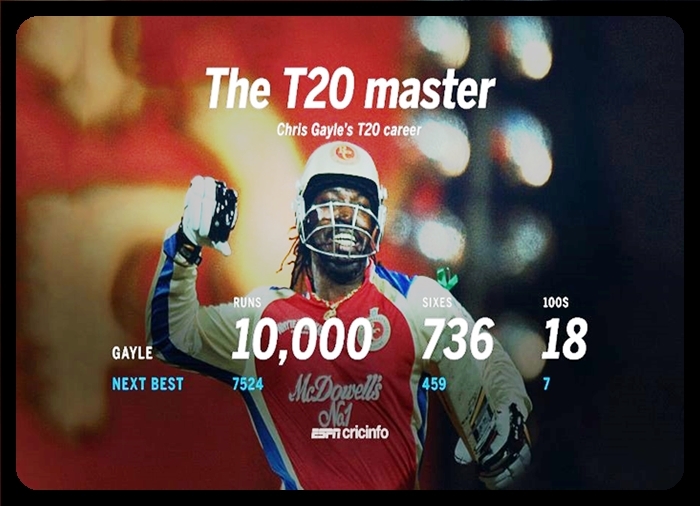 Gayle also became the first player to score more than 10,000 runs in three levels -- first-class, list-A and T20s. And with Gayle’s feat, India added to its reputation of providing the perfect stage for entering the 10,000 clubs. Chris Gayle has a long list of batting record to his name, and has added yet another, by becoming the first cricketer to cross 10k T-20 runs. 7530 runs came from boundaries. * Most sixes in an innings -17 sixes . * Most overall sixes in T-20 games - 262 sixes. * Most runs through boundaries - 7534 runs. 743 sixes. 769 fours. * Fastest hundred in T-20 - from 30 balls . KXIP VS SRH: SRH WON BY 5 RUNS. After 50/ 3 in their 10 overs, captain Davide Warner and Naman Ojha played 60 runs partnership between them in just 5 overs. Naman Ojha helped team by making important 34 runs in just 20 deliveries. What a day for the cricket spectators! Today two games has been played both was ended in the last over of the innings, in thrilling manner. First one was Kollata Knight Riders have managed to got win in the last over against Dehli Daredevils in Dehli and second game of this day (17 April), Sunrisers Hyderabad had enble to defend the total of 159 runs and win by only 5 runs in the final over in Hyderabad. 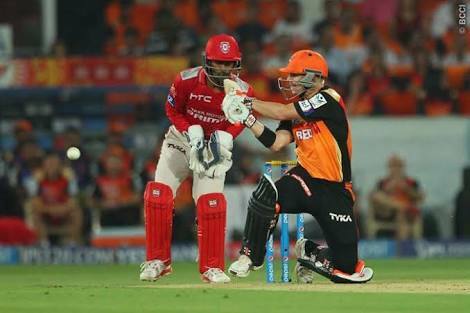 Sunrisers Hyderabad had put into bat first by losing toss against Kings XI Punjab. They doesn't got start well as Shikhar Dhawan gone for only 15 runs so far. However Warner and Henrques were tried to contrust the Sunrisers Hyderabad innings, when they goes to the 50 runs mark Axer Patel struck and sent back both Henrques 9(16) and the big Striker Yuvaraj Singh 0 (1) in the same over. One side wickets were got fallen, but another side Captain Warner kept kalm, he batted well along innings and made unbeaten 70 runs in just 54 deliveries inclusive 7 Fours and 2 Sixes. Sunrisers Hyderabad put 159 runs on the board with lost of 6 wickets in 20 overs and set a 160 runs target for the Kings XI Punjab to score. In the Kings XI Punjab's inning Bhuvi stuck with Amla dismissal on the first ball!, Amla back to the pavilion without scoring run. AfterAmla's dismissal, the captain of KXIP Maxwell has also return to the dugout with scoring 10 runs. The Afghanistan's talented cricketer Mohamamd Nabi has got dangarous Eion Morgans wicket in his IPL debue match. Another Afghani bowler Rashid Khan got back to back two wickets of dangarous Davide Miller and Wridsiman Shaha in the innings 10th over and the KXIP's score was 62/5 as half team has been sent back to dugout. At one end wickets continued going to fallen, but at another end the opener Manan Vohra playing his natural game as he knew as well striker of the ball. He was played blustering innings of 95 runs from just 50 balls with 190.00 strike rate. He was fallen for lbw in front of wickets in Bhauvaneshwar Kumar's bowling and he became the fifth wicket for Bhuvi in the game. But however the match went into the final over. over and Sunrisers Hyderabad needed only a wicket, but finally Hyderabad's Siddarth Kaul got Ishant out! on 4th ball of final over. Sunrisers Hyderabad has won the game by 5 runs in thrilling contrst against Kings XI Punjab. Bhuvaneshwar Kumar got 5 wickets for just 15 in overs, he became the 2nd bowler, who took 5 wickets in a match in this season Ipl 2017. First was Gujarat Lions team's Andrew Tye against Pune Supergiant. DD vs KKR : Pandey wins for KKR! Pandey has continues his consistency with unbeaten 69 runs from just 49 balls to take his team -to the No. 1 spot. Manish Pandey has became the highest runs getter in this season IPL and also completed his 2000 IPL runs. Half centuries by Yusuf Pathan and Manish Pandey enabled Kolkata Knight Riders overcame early jitters in route a thrilling four-wicket win over Dehli9 Daredevils in Firoz Shah Kotla at Dehli on Monday 17 April. Dehli Daredevils team's captain Zaheer Khan won the toss and elected to bat first. Dehli Daredevils team's openers Sam Billing and Sanju Samson were brought blundering opening for the team, they scored 53 runs in power-play overs. Sam Billing was departs by Coulter-Nile for 21 runs short innings. Sanju Samson was caught out behind the stump by Uthappa in Umesh Yadhav' bowling, who had batting fearlessly he made 39 runs from just 25 deliveries. After he got out Dehli Daredevils started to lose their wickets in regular intervals, only one big partnership doesn't came from any Daredevils team's batsman. Finally they got runs on the board it was 168/8 in 20 overs. In Daredevil's innings Sanju Samson 39 (25) in the early and Rishab Pant were managed to highest 38 (16) to score quick runs at the end. When KKR came to chase down the target of 169 runs to win this game, they struggled in early innings and team was lose their important 3 wickets for only 21 runs. But the game wasn't finished yet, the big man Yusuf Pathan and M Pandey played a big partnership of 110 runs. After horrible start amazing turnaround effected by Pathan & Pandey. Loads of grit & brilliant stroke play too.The target is within sight, Manish Pandey and Yusuf Pathan have recovered well for KKR , from 21/3 Yusuf Pathan has led KKR's recovery, his stand with Manish Pandey goes past 100 runs. Dangerous Yusuf Pathan made his first fifty of the season by sending a full toss delivery to the six. But he was dismissed by Chris Morris in 15th over, so the was continues till the last over, but however Unflappable Pandey powers Kolkata over the finish line with a ball to spare. Pandey has continues his consistency with unbeaten 69 runs from just 49 balls to take his team to the No. 1 spot. Manish Pandey has became the highest runs getter in this season IPL and also completed his 2000 IPL runs. IPL 2017: One Day Many Records!! 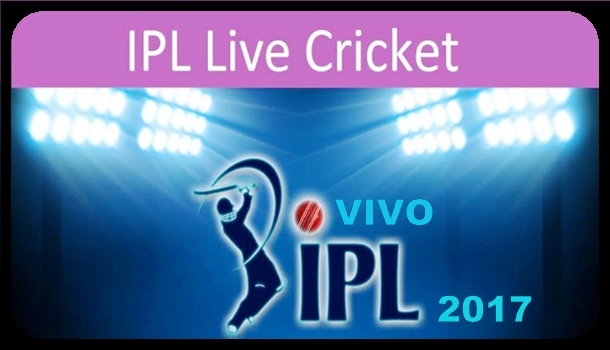 The second match was played between Gujarat Lions and Rising Pune Supergiant in 13th match of the IPL on Friday (14th April), were the first one between Royal Challengers Bangalore and Mumbai Indians( 12th match). In the both games many records were made by two important players of those games. The second match was played between Gujarat Lions and Rising Pune Supergiant in 12th match of the IPL on Friday (14th April), were the first one between Royal Challengers Bangalore and Mumbai Indians. In the both games many records were made by two important players of those games. 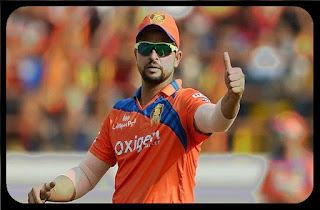 Gujarat Lion's skipper Suresh Raina has became the first of player, who feature 150 IPL matches so far. Royal Challengers Bangalore team's captain Virat Kohli made a superb return to the ipl 2017 with a 62 runs knock against Mumbai Indians in Chinnaswamy Stadium in Bangalore. He had surpassed Suresh Raina as the record for most runs in Indian Premier League history. Gujarat Lion's skipper Suresh Raina got his his first number again in second match of the Fantastic Friday. Virat Kohli has 4110 runs form 139 games before playing the game against Mumbai Indians. Virat Kohli has made his 22nd half-century and played 62 runs a knock and go ahead of Suresh Raina's most runs of 4171 runs in 145 innings of 149 games by leading a run. But Suresh Raina was played 35* runs innings against Rising Pune Supergiant in second game of the day. Kohli was a run ahead of Suresh Raina only for little time, but he once again 34 runs behind. We hope this competition will be become very interesting in upcoming games. If you like this please support us by clicking on like and following button. RPS's Ben Stokes was sent back Virat Kohli to the pavilion and MS Dhoni's blundering work behind the stump was turned the match around them. The second clash on Sunday 16th April was expected to be tightly fought contest between Rising Pune Supergiant and Royal Challengers Bangalore at M Chinnaswamy Stadium in Bangalore, but as it emerged to be, Rising Pune Supergiant had quite at the end of it, winning the game by 27 runs. RPS were proppled by a Manoj Tiwari blitzkrieg as they rose to 161/8 in their 20 overs. RCB in their chase failed to get going. 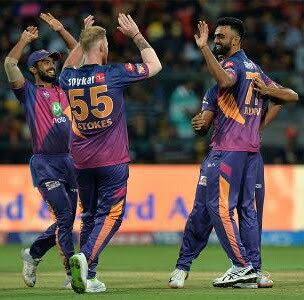 Rising Pune Supergiant were restricted to 161/8 despite starting well against Royal Challengers Bangalore from 127/2 to 130/7, the Steve Smith-led RPS saw a massive collapse in the Indin Premier league (IPL) match. S Aravind and Adam Milne took two wickets each. Adam Milne was missed out from a Hat-Trick in the 18th over of inning, where he took two wickets in a row and third wicket was came for him. However Manoj Tiwari maintained team to rose to 161/ 8 in 20 overs. When Royal Challengers Bangalore came out to bat, they got surprise Manjeet Singh was get back to the pavilion without scoring run. Barring Virat Kohli's cameo quickfire at the top, everybody else seemed to find the life difficult here on Chinnaswamy surface. The surface expected to became quicker, but even AB de Villiers found it tough to meet the ball with sweet spot of his bat. RPS's Ben Stokes was sent back Virat Kohli 28 (19) to the pavilion and MS Dhoni's blundering work behind the stump, which was departs AB de Villiers that moment turned the match around them. As Kohli and AB de Villier departs, Royal Challengers Bangalore team's inning started toward collapse. They lose their wickets in frustrated manner. There no partnership came out from any of Royal Challengers Bangalore team's players. And finally they only able to 134/9 in their 20 overs, and lost the game by 27 runs at the end. This is lowest total defended by any visiting team at home venue Bangalore, Rising Pune Supergiant became that team to do so far. Ben Stokes was became Man of the match for his 3/18 best bowling figure. Here some reason for defeat of Royal Challengers Bangalore. *162- Lowest total defended by a vising team in Bangalore. *First time RPS has successfully defended a total in 10 attempts. -wickets each on five instances. MI VS GL: Mumbai won the match by 6 wickets.